Last month’s Wheels & Waves festival in Biarritz was a barometer of custom motorcycle taste in Europe. 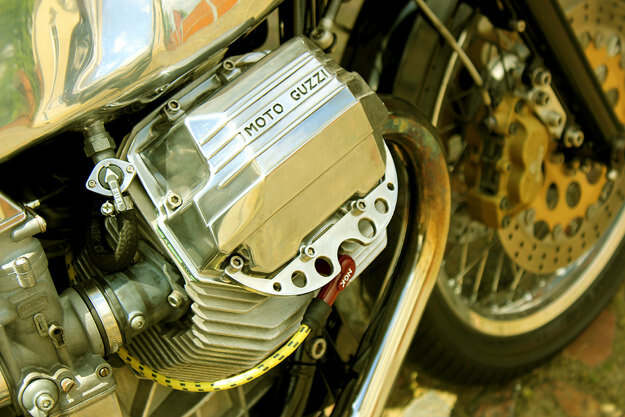 I was struck by the amount of attention attracted by older Moto Guzzis, especially those with a raw cafe racer look. 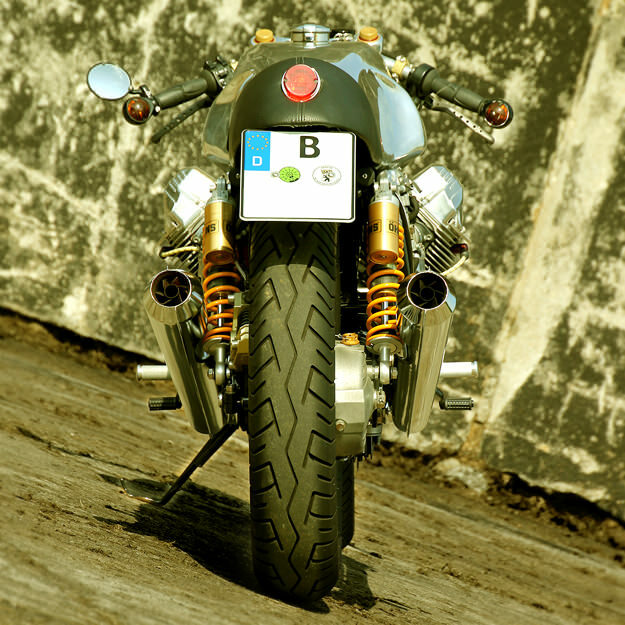 This bike wasn’t at the festival, but it’s a perfect example of classic Guzzi style. Called “Scoro”, it’s owned by Berlin-based photographer Sven Wedemeyer. 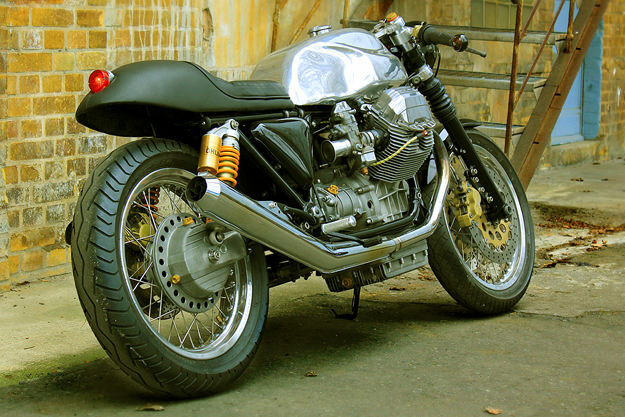 He stripped the Guzzi back to its component parts and installed shortened BMW K100 forks and the brakes from his own Ducati 900SS. 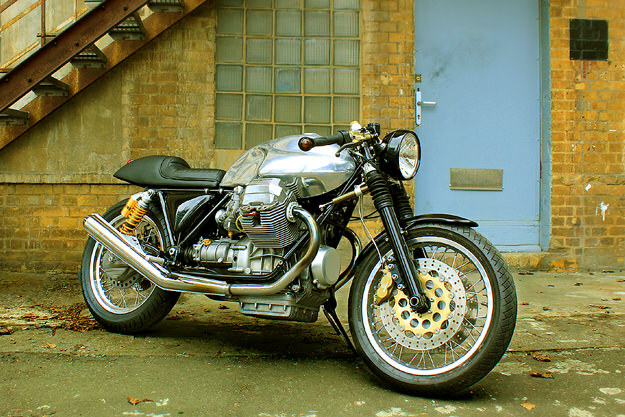 After using the Guzzi as his daily ride, he decided to take it a step further and transform it into the full-on cafe racer we see here. Sven ripped the Guzzi apart a second time and had the frame shortened, cleaned and powder coated. The engine and drive train were overhauled by Urban Motor, and after Sven put everything back together again, he fitted a minimal electrical system with equally minimal Motogadget instrumentation. Other upgrades include Öhlins rear shocks, open Dell’Orto carbs and an original Lafranconi Competizione exhaust system. 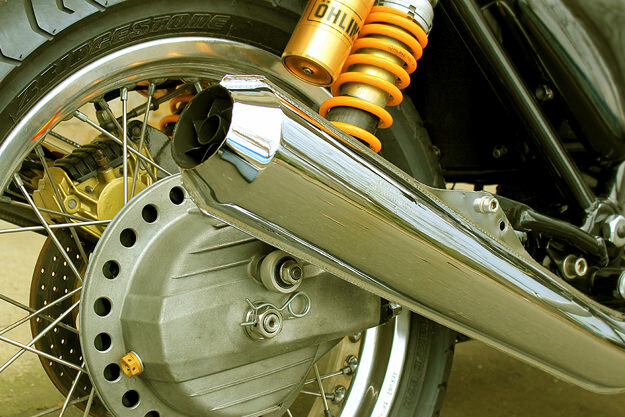 There’s also a Ducati steering damper, a custom front fender, and bespoke bars and grips.